As children play with toys that reference animals, they learn to feel empathy for another species, yet they also displace the animals’ actual context, habitat, agency, and behaviors. Child’s play forms animal perceptions and misconceptions about natural context that is carried through into adulthood. Today we have more varied and more numerous artificial representations of animals than ever before; in both formal contexts and in play settings, these depictions often perpetuate the divorce from animal realities. It is troubling that as adults, animals are still often treated as toys—put where we want, admired when we are in the mood, ignored when we are fixated on something else, and tossed out when we outgrow them. While artificial representations are on the rise, ecosystems are disturbed by human impact, and biodiversity is dwindling. Ironically, as we long for a wildness that is less and less present in our daily lives, we replace it artificially in our homes. Fake plants in kitchens, giraffe patterned curtains in our living rooms, safari animal decals in our nurseries, stuffed animals in our bedrooms, and televisions roaring with animal life documentaries all create a false representation of “wild.” Clearly, humans value nature and animals, but humans have lost touch with true experiences of the\wilderness. 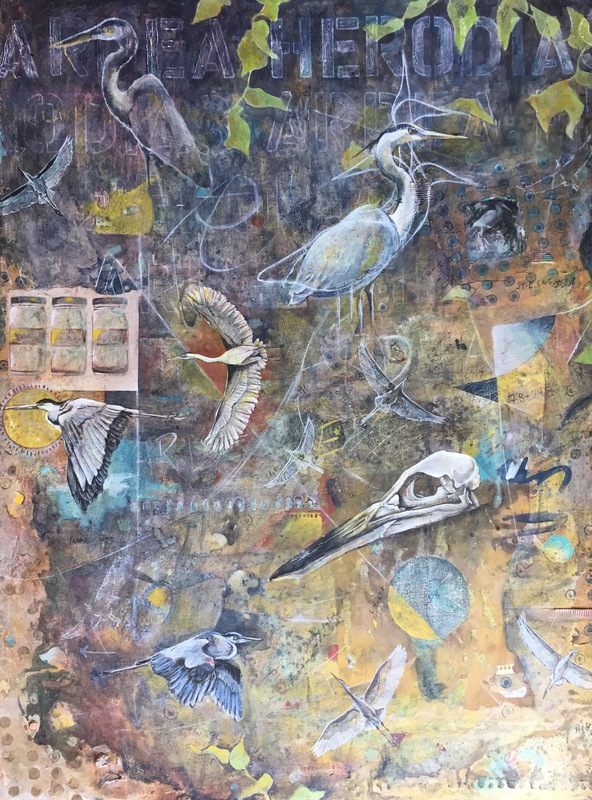 Mixed media approaches are adopted to grapple with the layers of complexity related to humans’ artificial approach to replacing the lost wild.